If you’re a wilderness canoeist then you know that there are few paddling destinations more exciting than Northwestern Ontario. We offer a combination of both flat water and white water opportunities as well as river and sea kayaking. 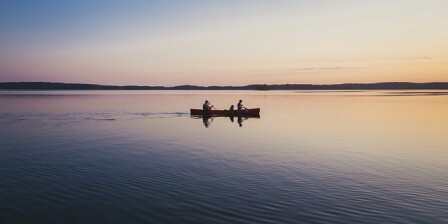 In fact, some of the most spectacular of all Canadian canoe routes are found in Sunset Country! 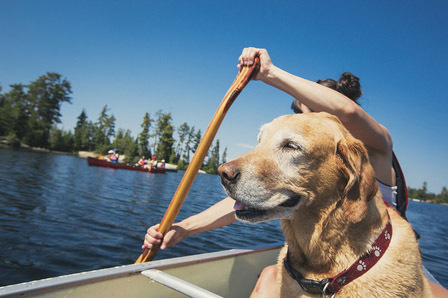 There is nothing more Canadian than paddling. ‘Ontario’ is an Iroquoian word meaning ‘land of shining waters’, and with over 400,000 lakes, rivers and heritage waterways in Ontario, we are connected by water. 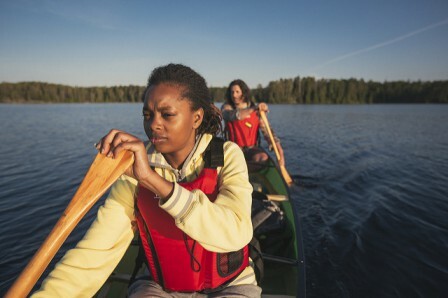 The Canoe and Paddle are symbols of that relationship, stemming from Indigenous peoples and Voyageurs to the multi-cultural population of today. “If it is love that binds people to places in this nation of rivers and in this river of nations then one enduring expression of that simple truth, is surely the canoe.” – James Raffan, The Canadian Canoe Museum. Three generations of paddlers in Quetico Provincial Park. Paddling teaches core values, skills and love of nature, and is best shared with your most loved ones. Quetico Provincial Park is located west of Thunder Bay in Northwest Ontario. Experience this for yourself with Voyageur Wilderness Programme, Canoe Canada Outfitters in Atikokan or Quetico Outfitters just outside the main entrance. Indigenous youth build a birchbark canoe at Fort William First Nation. The canoe is a symbol of the great wisdom to be learned from Canada’s Indigenous people. Read more. Embark on your own time traveling adventure at Fort William Historical Park in Thunder Bay, the world’s largest reconstructed fur trade post. Your canoe adventure into Provincial wilderness parks such as Quetico, Wabakimi, Opasquia, Woodland Caribou, Atikaki, Severn River, Turtle River-White Otter Wilderness area, Albany River, Fawn River, Pipestone River, and the Winisk River and many arctic river systems will provide the variety to challenge the expert or novice. 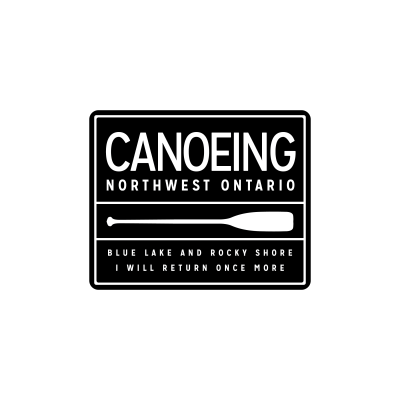 There are many established NW Ontario canoe routes or you can map out your own. Complete vacation packages are available from our member outfitters. Select a guided or un-guided trip and experience the incredible landscapes we have to offer. Start planning your next canoe, kayak, SUPing or rafting adventure. Canada was, quite simply, first discovered by paddlers. Through the vast majority of Canada’s history, paddling and portaging the Canadian waterways was the only way to travel, trade and communicate. First Nations, explorers, traders and early European settlers all came to know Canada on her waterways. 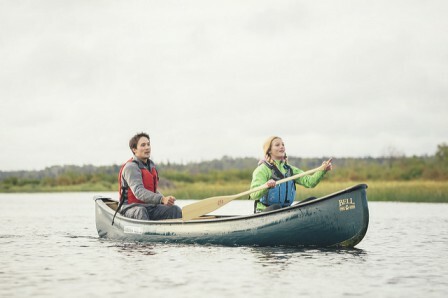 Now you can experience the northern wilderness the same way it was first seen and discover a bit of natural Canada for yourself as you navigate the boundless river and lake systems by canoe or kayak. When the roar of the departing floatplane faces away, you are left with the silence of the boreal forest. Shawanabis Lake is six miles long, with many islands and bays. The abundant rocky shoals provide the perfect cover for the Walleye, Northern and Lake Trout. You can explore Shawanabis Lake and nearby lakes by canoe, kayak or boat and motor. You can swim right off of one of the many sand beaches, sauna, bird watch, fish, paddle or just soak up the tranquil wilderness. The cabin will sleep 10 people, perfect for family outings or a fishing getaway. Specializing in Wilderness Adventures to Wabakimi Provincial Park. Our highly experienced staff and guides will set you up with the trip of a lifetime! We’re experts in custom canoe tripping and Outpost fishing trips focused on your enjoyment and safety. Contact our trip planning experts to design a Canadian Wilderness Experience that is perfect for you. Voyageur Wilderness: Quetico’s premier eco-adventure Outfitter since 1960. Located on Voyageur Island, Quetico Park Boundary, Ontario, Canada. VWP is the perfect stepping stone into the wilderness. You’re not only paddlers, you’re explorers. Enjoy a wilderness adventure where we take care of the details, from developing customized canoe routes to issuing licenses and permits. Just relax and enjoy the journey. You’re not only paddlers, you’re explorers. Enjoy a wilderness adventure when we take care of the details, from developing customized canoe routes to issuing licenses and permits. Just relax and enjoy the journey. 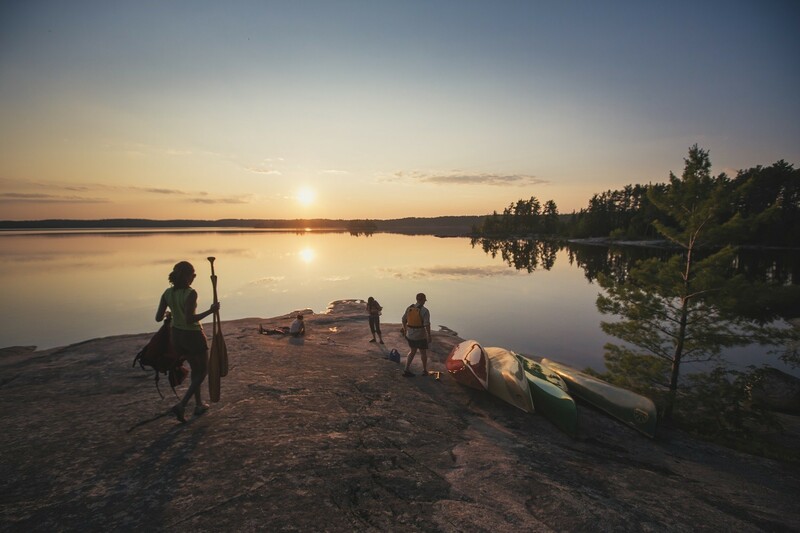 Stretching 60 miles from east to west and 40 miles from north to south, Quetico is renowned for its rugged beauty – its towering rock cliffs, majestic waterfalls, virgin pine and spruce forests, picturesque rivers and lakes – and for the best wilderness canoeing in the world. Hundreds of lakes and rivers are linked by 550 maintained portages averaging 400 m and provide a wide range of canoeing opportunities from one day to several weeks. Green Adventures strives to provide a fun, safe and convenient method for people of all abilities and experiences to learn while exploring Northwestern Ontario. They offer Canoeing, Kayaking, Rock Climbing, Touring and Camping services.